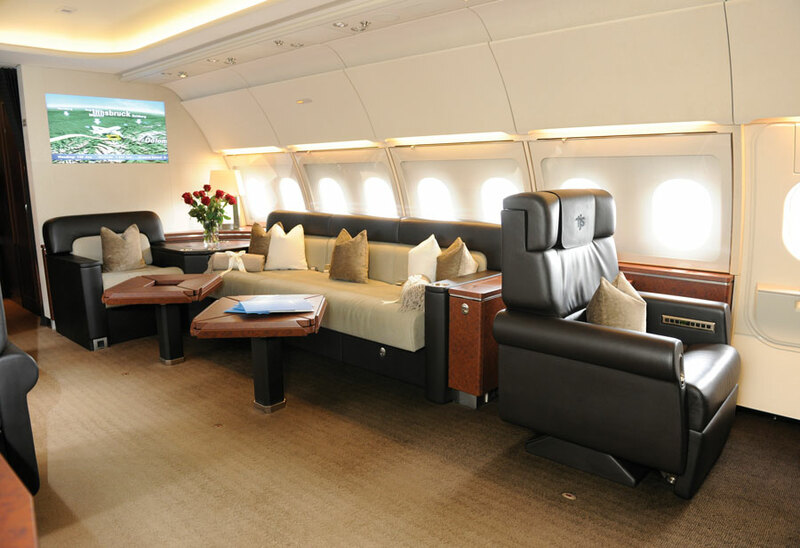 Tyrolean Jet's ACJ318ER carries up to 19 passengers in a VVIP interior. Martin Lener, CEO of Tyrolean Jet Services, has watched the company evolve since nearly its beginning, joining the group in 1980, just one year after its founding as the business jet flight department for Austria’s Swarovski, which produces cut crystal glass for decorative, optical and industrial applications. Here at EBACE, Innsbruck, Austria-based Tyrolean (Booth 449) is showing an ACJ318ER equipped to carry 19 passengers. Lener said the company fleet is expanding to 11, with the addition of two Airbus ACJ319s and a Gulfstream G550. Tyrolean Jet Services also offers for charter a Bombardier Global Express, Gulfstream G200, Dornier 328s and Cessna Citation VIIs and a Citation CJ2. It also manages several private aircraft for owners who are not interested in having the aircraft available for charter. For the past two years the ACJ318ER has performed as top-of-the-fleet for Tyrolean. “This ACJ318ER that we have brought to EBACE is one in which we were able to sell more than 400 flight hours last year,” said Lener. “That is wonderful in the out-of-balance charter environment we are currently experiencing in Europe. There is too much supply, and demand is fluctuating.” To what does Lener attribute the aircraft’s popularity in his fleet of mostly smaller, though still large business jets? “It carries 19 in a nearly 75 square meter interior,” he explained. The ACJ318ER’s VVIP interior was completed by Lufthansa Technik in 2011. All Airbus ACJ318s have “pick a package” interiors, according to David Velupillai, marketing director, Airbus Corporate Jets. The aircraft’s clean, neutral lines, plus wide and tall cabin give a feeling of spaciousness, he said. Its single forward galley and plush aft lavatory (there is a smaller mid-cabin lav as well) are set up to provide privacy for the passengers in the back of the aircraft. The center section of the aircraft is outfitted for business and dining. On long hauls (and the longest this aircraft has seen was 9.5 hours, landing with legal IFR reserves) the seating can be rearranged to sleep 11 in lie-flat beds. Closet space and storage for cutlery and glassware is extensive, making it a pleasant aircraft to load, unload and service, according to the cabin crew. Two cargo holds, one forward and one aft, are ready for baggage that is not suitable for closeting in the cabin. Tyrolean’s newest ACJs will be ACJ319s and will feature staff seating in the back, a center plush lavatory with a shower and bedroom and two forward office and dining areas. The aircraft have aft and forward galleys and lavs as well. The third aircraft acquisition is a Gulfstream G550 set up to seat 16, or sleep six comfortably in lie-flat beds. This aircraft includes one lav and one galley. It's really important that a private air charter service keeps up with demand and brings on new carriers and charter abilities to service the business needs and accommodate the wealthy. I'm always really amazed at how vast the charter planes the air charter services like these http://www.aircharterserviceusa.com/aircraft_guide/index.html can call upon with a simple phone call. It must take a lot of logistics to just get one plane arranged and in location, and on time too.